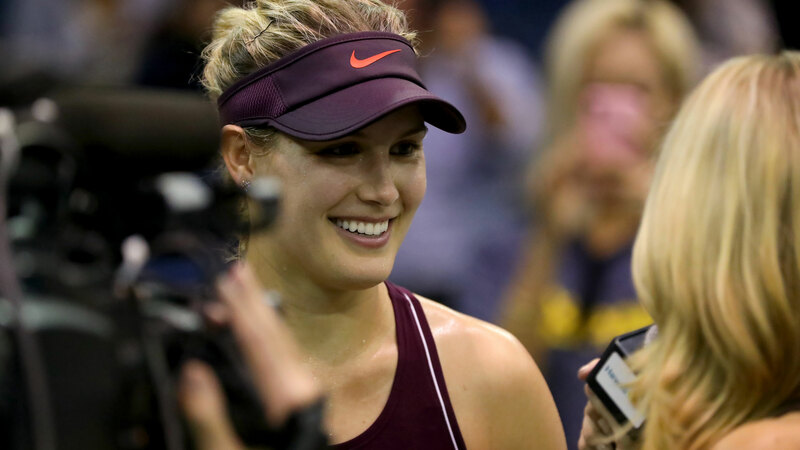 When Eugenie Bouchard steps onto Rod Laver Arena tonight to face Serena Williams it will be another small step on the long road back to the top of women’s tennis. Given the nightmare she’s lived through for much of the last four years, that is no small thing. In fact, Nine commentator Sam Smith, who travels the world to cover the women’s game, sees triumph in the fact that she’s still on a tennis court. That’s how dramatic the fall was after the bright, bubbly, popular Canadian stunned the tennis world in 2014 with an incredible year that took her from a 19-year-old with potential to a 20-year-old Wimbledon finalist after breaking through with semi-final appearances at the Australian Open and the French Open. Ranked five in the world with a bullet, a fourth round appearance at the US Open unsurprisingly sealed the WTA Most Improved Player for 2014 and the world was at her feet. Not only did she appear to be destined to take her place for a decade among the elite, Bouchard’s beauty and playful personality made her a dream for fans and sponsors alike. As quickly as she shot up the rankings so the big contracts came, with her social media savvy and her knack for engaging fans thrusting her into the global spotlight. It all came with a rush and while the off-court successes continued, as quickly as she became a force in women’s tennis Bouchard became a cautionary tale as her ranking death spiralled to 49 little more than a year after she took Wimbledon by storm and as low as 194 last year. “It’s a bit of a script where life came at her pretty quickly with big contracts, big sponsorships, a lot of attention back in Canada, and she just wasn’t ready for it and I don’t think her game was ready for it either,” Smith tells Wide World of Sports. Breaking down the flaws in her game at that time, Smith muses that Bouchard was over-aggressive and refused to compromise. Adding to what became the heady cocktail that would bring her undone, the young Canadian was headstrong and unwilling to listen to advice. Stubbornly refusing to adjust her game, she changed coaches with alarming regularity and still the slide continued. Of course there were off court distractions too. Despite all the good social media has done to bring fans closer to the athletes they idolise, it’s a tap that’s hard to turn off. Unwanted attention and relentless attacks from the envious become almost an everyday problem and while Bouchard has continued to embrace social media, those unwanted by-products seem to have at times taken their toll. 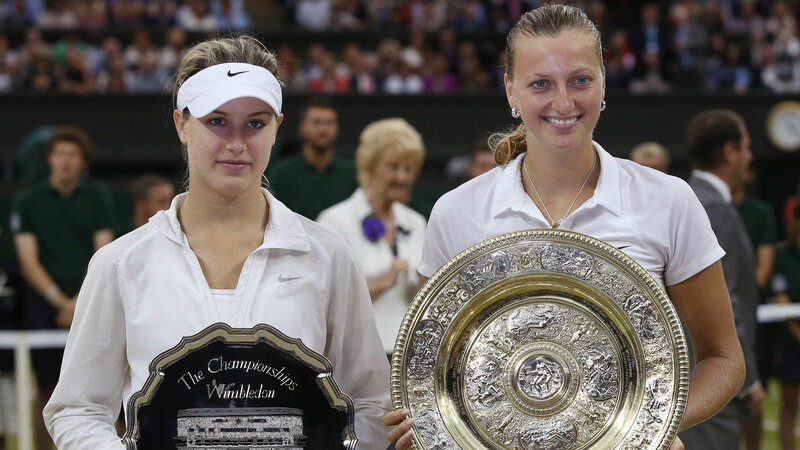 Injuries too have played a big role in Bouchard’s career since her emergence. Most infamously, in 2015 she slipped on the locker room floor at the US Open at a tournament that was starting to take shape as the one that would get her career back on track. It came after winning through to the fourth round, easily her best result in any tournament in six months, but she was forced to withdraw after suffering a nasty concussion due to the fall. She subsequently withdrew from several tournaments due to dizziness and filed a law suit against the United States Tennis Association, claiming her locker room fall was due to “a slippery, foreign and dangerous substance” which had not been cleaned up. While Bouchard has rarely looked capable of reaching the heights she scaled in 2014 since that incident, her determination to succeed and fulfil her destiny as a grand slam champion has never wavered. She’s kept practicing, kept turning up to tournaments and put her on-court woes aside to put on a happy face for some of the most fanatical supporters in sport, always generous with her time and willing to go the extra mile to reward them with match tickets and once in a lifetime experiences. It’s a struggle worthy of admiration, according to Smith. “She’s got some resilience because a lot of other players who went through what she has would have given it away,” Smith said. “I actually interviewed her after that final and I was so impressed with her composure when she got a battering,” she adds, thinking back to the first signs of her courage way back at Wimbledon 2014. “She was in tears afterwards but by the time she got to the press she was completely composed. I was so impressed with how she got her head together but I think she has not been listening (to her coaches). The coach currently charged with turning Bouchard’s fortunes around is Michael Joyce, a former coach of Maria Sharapova who linked with the Canadian late last season after splitting with British world number 38 Johanna Konta. Already, there are positive signs with Bouchard winning her first title in five years, albeit in doubles, at her first tournament of the year in Auckland. She also got through the first two rounds of the singles tournament, with a courtside pep talk from Joyce going viral when he described her attitude as “f***ed up”. Tellingly, Bouchard went on to win that match and her powerful performance to thump Shuai Peng 6-2 6-1 on Tuesday to set up her clash with Williams is proof enough that she’s starting to feel good about her game again. “I think she’s found something that works now because she’s certainly playing better,” Smith confirms. “I don’t know what will happen against Serena but I’m very pleased that she’s rebounding. She’s got enormous ability she just needs to be coachable. “The champions are very teachable and very coachable and I think that has been her big downfall.